As anyone who’s flown with a congested head can tell you, it’s not fun. The changes in altitude and air pressure have the potential to not only be uncomfortable or even painful, but dangerous as well. Follow these tips for flying with a head cold from our TravelingMom with Daughters to help get through the flight. Disclosure: This post contains affiliate links. If you click through and buy, TravelingMom receives a small commission at no additional charge to you. 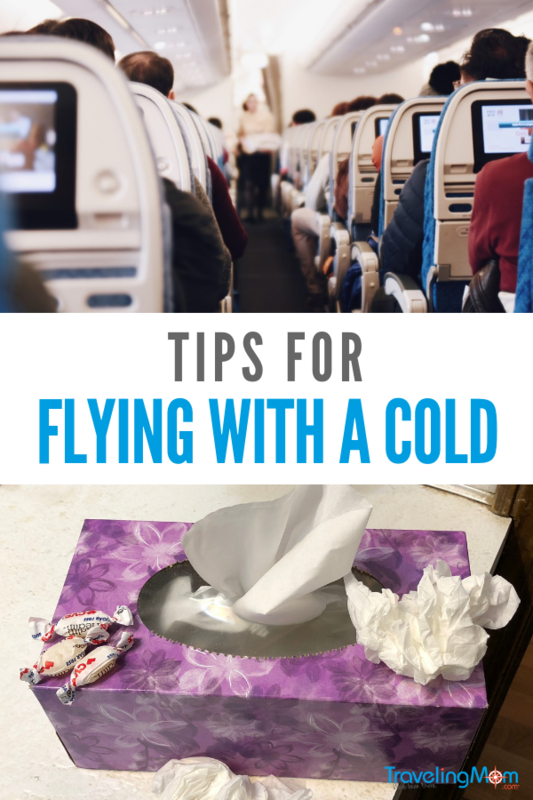 When I came down with a head cold only days before I had to get on a plane, I needed some tips for flying with a runny nose and sinus pressure. Along with doing everything that I could to try and get over the cold as quickly as possible (drinking fluids, taking Vitamin C, resting, etc. ), I also began to research what my options were in order to make the flight as comfortable and safe as possible. The first question I asked myself was, do I really have to go on this flight? The pressure changes caused by air travel are uncomfortable, yes. And I certainly didn’t want to spread germs to any other passengers stuck near me in the airplane cabin for hours. However, plans can’t always be put on hold and airline tickets are expensive. In this case, the flights were nonrefundable. If you don’t have travel insurance, cost is definitely a consideration. In this particular case, I had what was most likely a common cold with sore throat. My symptoms were annoying, but not critical. If I had a severe cold, fever, ear infection or serious sinus infection, I would definitely re-assess the need to fly. 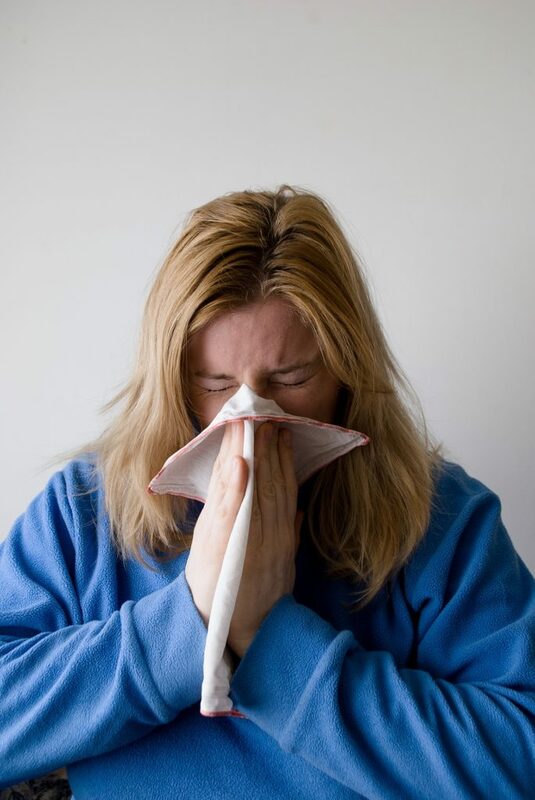 If you aren’t sure what to do, check with a doctor or qualified medical professional to determine your best options based on your own cold symptoms. I did some crowdsourcing and research to see what I could learn about how to keep my nasal passages and ears clear for the flights. 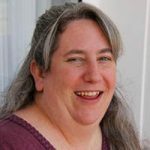 What I learned was also confirmed by a visit to our local pharmacist when I went to stock up on cold medicines. I’m not a doctor so I definitely recommend checking with one (or whatever medical professional you trust) before you try any of these tips. I took a decongestant at least an hour before the flights. I’m not going to go into the specific brand, but it does help keep your head from feeling like it’s going to explode. The one I used was a 12-hour decongestant, so I didn’t have to re-take it during the flight. An antihistamine also helped to help dry up my still-running nose. And I made sure to have plenty of tissues on-hand – as well as a plastic baggie for the used tissues since airplane seats don’t have handy garbage receptacles and I didn’t want to leave them lying around. Another option is to try a nasal spray (such as Afrin) to shrink the nasal passages. When those are swollen, the eustachian tubes can become clogged, which makes it harder for your ears to pop. In a worst case scenario, you could end up with ears plugged for days, temporary hearing loss, or even a ruptured eardrum. Chewing gum or swallowing (drinking water or other liquids) can help in many cases. But when your mucus membranes are inflamed from a head cold, the cabin pressure can be even harder to deal with. 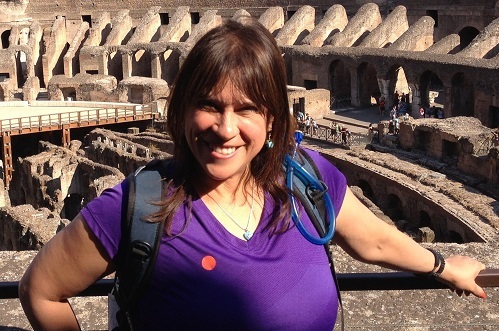 Before and during the trip, I drank plenty of fluids, Vitamin C and rested as best as I could. Flying may be stressful and uncomfortable in some ways, but it does force you to rest, at least physically. I made sure I had a full water bottle for both flights (purchased after we went through security, of course), so that I didn’t have to wait for the in-flight service – or have an uncovered glass of water on my tray with a squirmy 5-year-old in the seat next to me. Per a friend’s suggestion, I invested in a pair of Ear Planes. That’s an earplug made specifically for people flying with sensitive ears, or who have a cold, sinus problems or allergies. I do think these made the biggest difference in my case. It was a relief to not feel the pressure in my head at all or have to constantly try to get my ears to pop to relieve it. I used the Ear Planes during both takeoffs and landings. I took them out in between since they did get uncomfortable after a while. And while it was definitely not the best way to travel with a preschooler (since they do also act as noise suppression ear plugs), I felt that the pressure and pain-free flights were definitely worth it. They also make a pediatric version for kids – something I was glad not to have to use this time around! Thankfully I felt better by the time I headed home, so did not need to use the ear plugs after takeoff. Within a couple of days after we got home, I was back to my usual self. These are just general tips – again, please make sure that you talk to your doctor or another trusted medical professional before you fly with any kind of cold, allergy, or sinus condition. Or if you’re under the weather in any way at all, since it can be very dangerous to fly if your condition is serious enough. And above all else, try to make sure to eat and drink enough healthy foods and get lots of rest so that you can build your immune system and avoid getting sick in the first place! What are your travel tips for flying with a head cold? Ear Planes are the best. Never fly without them after a bad flight with a sinus infection left me super sensitive. Good common sense advice. Thank you. You all are talking about ear PLUGS I assume…. Ear Planes are a brand of ear plug that regulates pressure change in your ear. They work great, are reusable and inexpensive.